Looking To Purchase Or Refinance? Bank Won't Lend? We offer common sense lending for puchases & refinances. What if you can't confirm your income or have credit issues? We offer reasonable rate mortgages without income tax returns or financial statements. Click on the Contact button and tell us what you are looking to do. We promise a fast no-nonsense straight up response. Self Employed? Can't Prove Income? 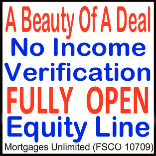 Got a Home with Equity? Need a Fast $7,500 to $250,000? Require an OPEN Loan with LOW payments? Can't qualify at your Bank? Visa Rate of 7.99% O.A.C. Looking To Purchase Or Refinance A Rental Property? We offer Prime & Hard-To-Place funding. Click on the button to see our Rental Guidelines. Can't meet the guidelines? Call us. Looking To Purchase? Got Credit Problems? 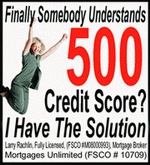 Got a reasonable down payment, confirmable income but less than perfect credit? What if your credit score is less than 600? We offer reasonable rate mortgages to those with blemished credit. We will also give full consideration to past bankruptcies, judgments & collections. Got a lawyer's letter demanding immediate money? Don't have enough cash to pay arrears? Afraid you may lose your home? We offer fast mortgage redemption funding, despite credit or debts. Get money to pay off mortgage arrears, penalties, legal fees and other costs. Download our One Page Redemption Application - Provide some basic information. Get a lightning fast response. 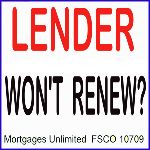 Mortgage lender not willing to renew? Bank or other institutions not willing to help? Either call us or click on the contact button and tell us your story. Get a fast no-nonsense straight up response. get you the help you need and deserve. Got a good story? Click the Specialized Lending button. You Won't Believe What We Can Do! we have the people and the product to meet your needs. Every Commercial deal is unique and requires special attention. Call or Email us & tell us what you need.